If you’re long time TNT subscribers, I’m sure you already use or enrolled in their TP10 promo and other unlimited call offers. 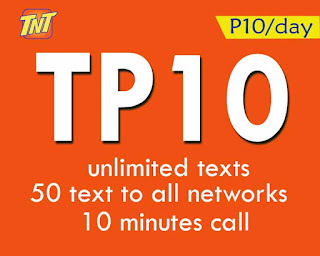 This unlitext plus offer cost only 10 pesos for 1 day to text your friends who are using Smart, TNT and Sun Cellular network. Of course there’s more, you can also call them with the 10 minutes call allocation and additional 50 texts to all networks. You almost have all the communication needs with a promo, but the last missing service we want to a promo is to browse online or access to the internet especially Facebook. Don’t worry about that if you’re subscribe to Talk N Text TP10 as you can have this FB add on that you can avail while registered to this promo. Registration can be done via SMS using the keyword for prepaid users and you can also load this promo via retailers nearest you. Once registered, you will receive an SMS from TNT saying that your promo is ready to use. Please maintain P1 balance on your account to continue using TP10 until it expires. 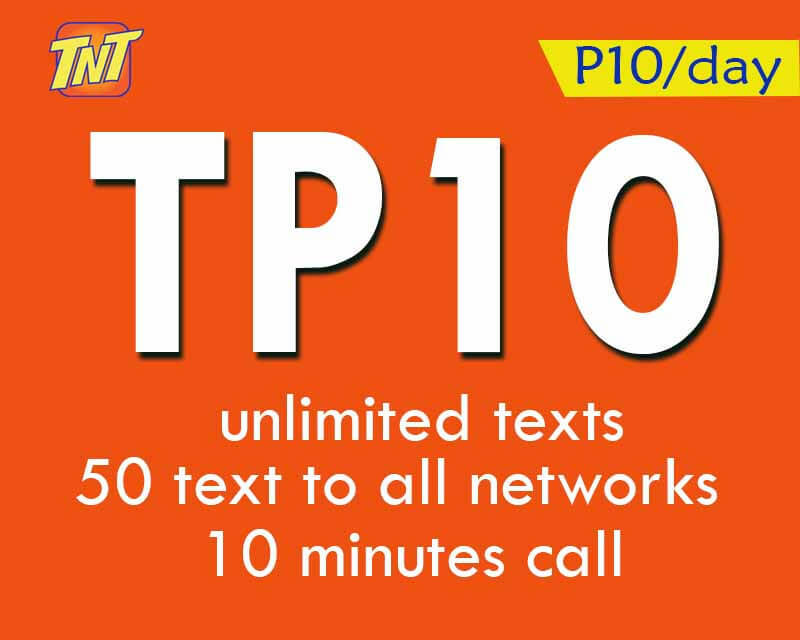 If you want unli call and text for only 15 pesos valid for 2 days try UTP15. Aside from 10 pesos for TP10 and P1 maintaining balance, you need to add 2 pesos to enjoy unli FB using your TNT SIM card. Note: If you want to extend up to 3 days unlimited Facebook access, you can text FB2 up to 3 times. You can also use other apps for 2 pesos like Twitter (T2), Instagram (IG2) and Viber (VIBER2).